A delightful collection of English grown dahlias in a variety of colours and mixed with fragrant seasonal wildflowers and herbs. 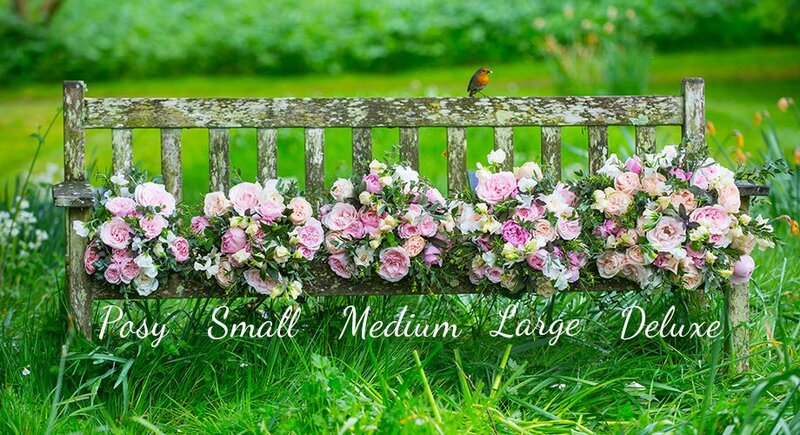 We will hand pick our favourite heavenly scented roses to compliment your bouquet perfectly. 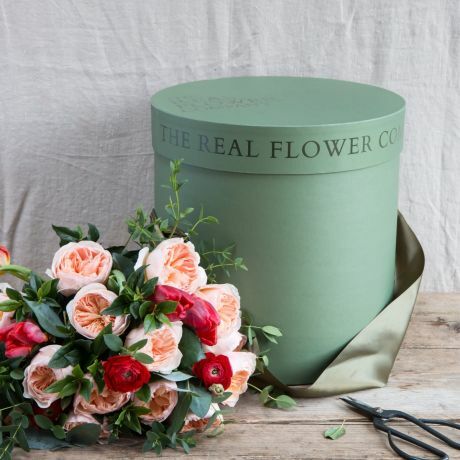 The bouquet is delivered in our signature green box. Please note, the colour of the dahlias included in your bouquet may be different to those in the picture. This bouquet comes in a small (7 Dahlias) and large (15 Dahlias) size. The bouquet pictured is a small size.